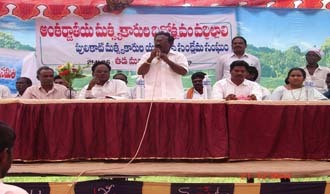 Cultural Association for Mass Education and Liberation (CAMEL) has grown from a small organisation working in a few villages of Sullurpet and has become one of the better known and respected Non Governmental Organisation in Nellore District. 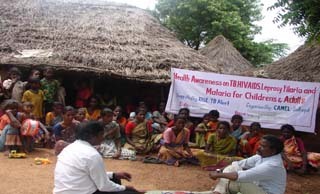 This achievement has been made possible mainly due to the unwearying support of Andheri Hilfe-Bonn. This donor organisation has for the past 20 years been a pillar of support and helped CAMEL to overcome many obstacles and grow to its present stature. 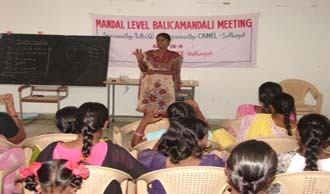 Cultural Association for Mass Education and Liberation (CAMEL) has grown from a small organisation working in a few villages of Sullurpet and has become one of the better known and respected Non Governmental Organisation in Nellore District. This achievement has been made possible mainly due to the unwearying support of Andheri Hilfe-Bonn. This donor organisation has for the past 20 years been a pillar of support and helped CAMEL to overcome many obstacles and grow to its present stature.